The Club is proud to announce our Competitive team head coaches for the 2016/2017season. The Competitive Program is designed for athletes who wish to play the sport at a serious competition level. Competition is usually centred on the OVA schedule. Supplemental local and regional tournaments may be added. 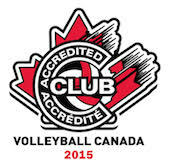 Competitive teams have the option of competing at Volleyball Canada Nationals in the spring. The High Performance Program coaches for 2016/2017 can be found here for male and female teams. We are projecting that there will be enough athletes to run teams where there are no coaches currently assigned. If you are interested in coaching one of these teams, please contact John Spack (john.spack@maverickvolleyball.ca). More information will be communicated during tryouts for those specific teams and age groups.